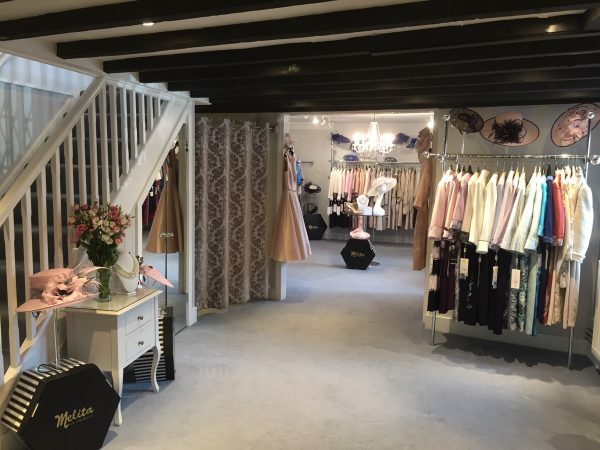 Established for over 37 years the shop is renowned in Surrey and around the UK for its outstanding collections and service. Our helpful and devoted staff carry a wealth of experience when dressing mothers of the bride and groom and guests for weddings and all social occasions. We have gained our reputation through word of mouth and recommendations which we have continued to maintain through providing a service that is second to none. 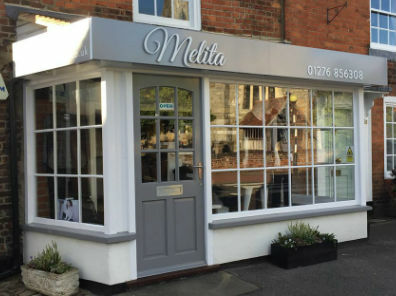 The shop is situated opposite the church in the attractive village of Chobham in Surrey. It is from here over the years that so many ladies have found the outfit of their dreams along with everything for the complete look. At Melita we realise that for the mother of the bride or groom this is such an important day in their lives and we are there to guide and make the experience stress free and enjoyable. Our aim is to provide a comprehensive selection of stock from the world’s best occasion wear designers including Condici, John Charles, Luis Civit and many more, in a relaxed friendly atmosphere with as much or as little advise that the individual customer requires to find that unique outfit.